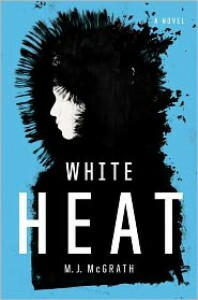 White Heat - M.J. McGrath - review - So Many Books...So Little Time! "White Heat" is the first in a mystery series set on Ellesmere Island which is next to Greenland though it's actually part of Canada. The protagonist is Edie Kiglatuk, an Inuit woman who makes her living as a hunting and fishing guide. Edie becomes caught up in a mystery when one of the two men she is out guiding for is shot by someone out in the middle of nowhere. She tries to get him back to the village for medical help but he ends up dying along the way. His assistant goes along with the local mayor in deciding that the dead man must have been killed in a ricochet from his own rifle but Edie knows this is a load of bull but has no idea why they are trying to cover it up. 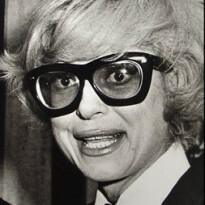 Things go from bad to worse when someone Edie loves is found dead and the reason for his death is reported as suicide, though Edie KNOWS this is also not true. So bodies are stacking up, people are going missing and Edie is on the hunt, trying to figure it all out. Edie is aided by the Ellesmere Island police sergeant, Derek Palliser, who is caught in with his own issues. Someone is leaving their dogs running wild and his lemming research is being ruined. He is also nursing a broken heart when his girlfriend Mischa leaves him at the end of summer. He is not all that willing to help Edie at first but with more bodies piling up and more evidence of foul play in the so-called suicide, Derek has no choice but to do what he can to help Edie. The mystery in this one was so-so but the setting and the characters were so interesting! I found myself sharing little tidbits of Inuit lore with my family that I learned in this book. I will be looking for the next in the series because I really enjoyed getting to know Edie and about life above the 60th parallel. I'm from southern USA where we rarely ever get snow or ice so I found the descriptions just fascinating. Recommended for those that like a light mystery and are interested in learning about the Inuit culture.